Jimmy T's Painting Services, Inc. Comment: Interior walls only. No ceiling, no trim. No hole patching. Comment: i have a rental apartment that i rent out for investment. my tenant moved out. prospective new tenant says she will take it if I paint the walls to the beige color she prefers. She will supply the paint. Currently my walls are sea foam light green. It is the walls ONLY., Not doors, not ceilings not baseboard. Walls ONLY. Apartment is 1100 sf two bedroom. Comment: 1 story stucco. painted over 7 yrs. ago. Has patio in back. 2000 sq. ft. Comment: xxxx xxxx Here - I'm with the Tequesta Pines Property Owners Association. We are looking for a firm to Clean/Pressure Wash and repaint the existing Landscape &quot;U&quot; walls along Seabrook Ave and Riverside Drive. There may be some minor Stucco repairs as well. Jupiter Painting Contractors are rated 4.78 out of 5 based on 1,555 reviews of 76 pros. 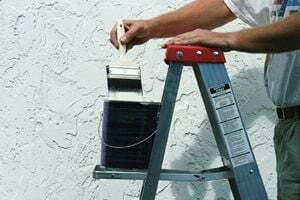 Not Looking for Painting Contractors in Jupiter, FL?